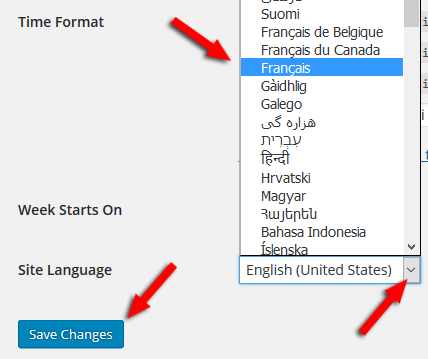 When you install WordPress, the language will be set to English (US) by default. 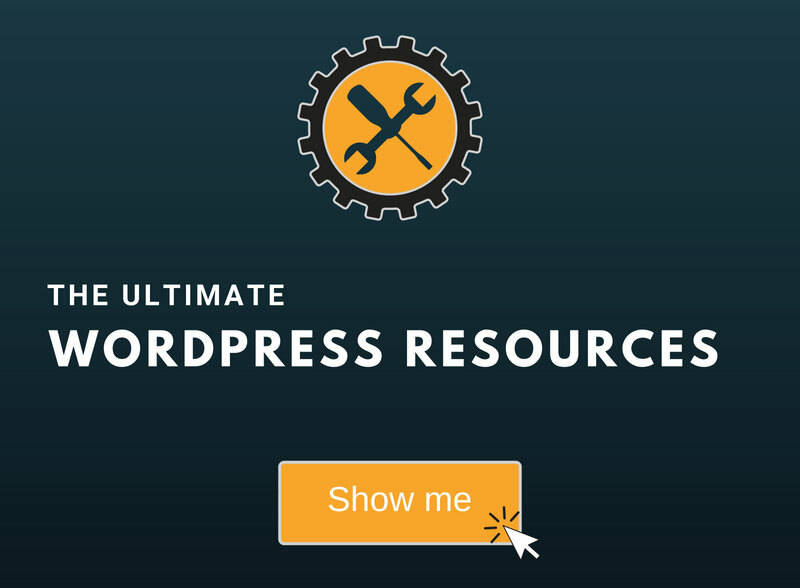 If you install WordPress through a software, like Softaculous, you can choose the language before the installation, but in case you forgot or something, I’m going to show you how to easily change it from inside your Dashboard. 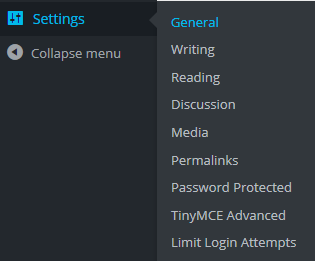 This is possible if you have WordPress v4.0 or above, which you should. 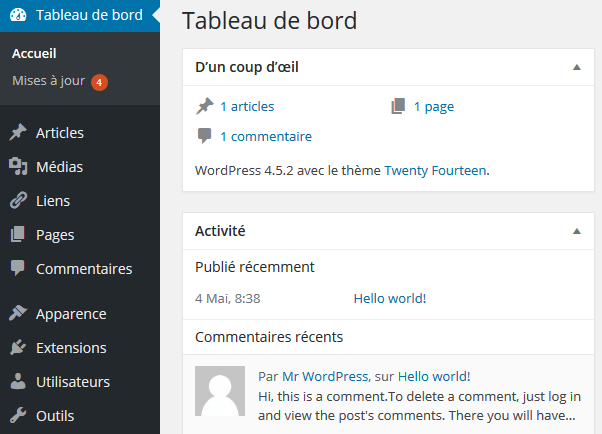 This will change the default language of your WordPress Dashboard, and, if your theme is using some of WordPress’ default files and functions (e.g. comments, sidebar, etc. 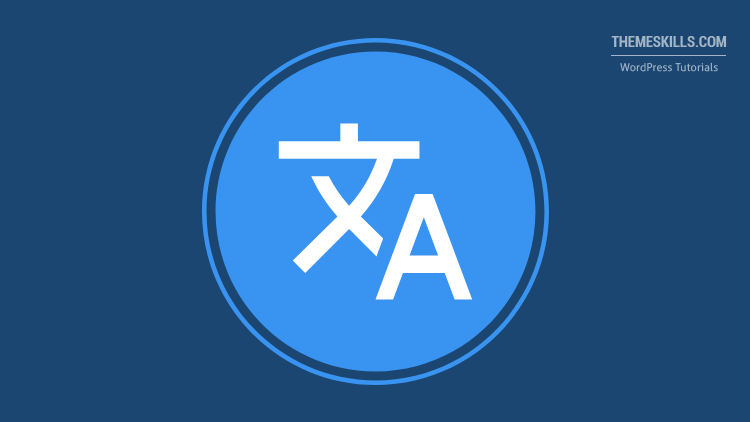 ), it will also translate those, as you’ll see below. 2. Go to Settings -> General. 3. Once there, scroll down to Site Language, click on the drop-down menu, select your language, and press Save Changes. I’m going to choose French for our example. As you can see, my Dashboard is in French now. Now let’s see what happened on the Twenty Fifteen theme. Since the theme is using some of WordPress’ default files and functions, the sidebar/widgets and comments also got translated! That’s it! 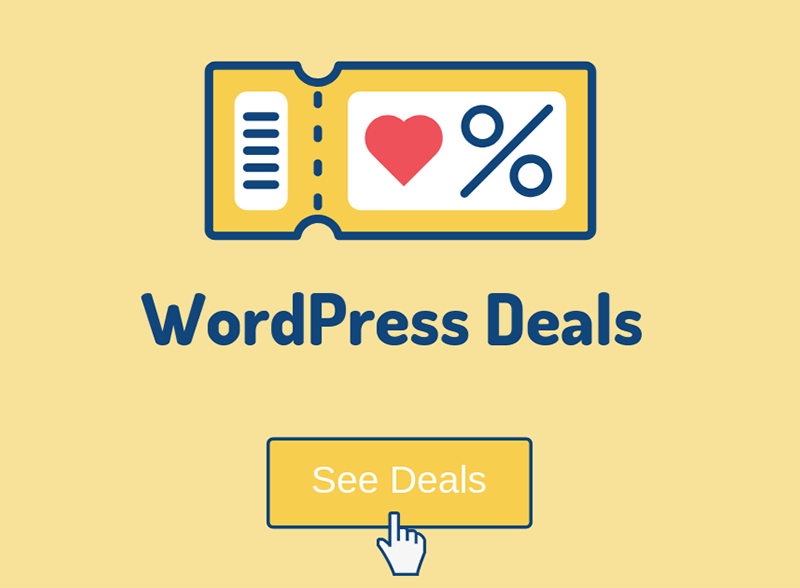 Now you know the quick and simple way to change the language in WordPress! If you have any questions or thoughts you might want to share, please drop a comment, contact us, or message us on our Facebook page.